Learn what is the difference between original ink cartridges and generic ink cartridges, make that selection is best cartridge for your printer after this reading. When buying a printer, the first thing you think is in the cartridges, if not you should consider starting to think about it, because it is where it will remain all our effort and money. Depends a lot on the cartridge, the cost per printed page and keep this team even more important than the energy consumption of the same team. We must find alternatives for pages at a good price and not be affected by such direct cartridges - we must also consider price comparison quality - there are some so-called compatible ink cartridges, which give more performance for less money. We'll get more yield, but not better quality, and this is the most important difference among the original ink cartridges and compatible. 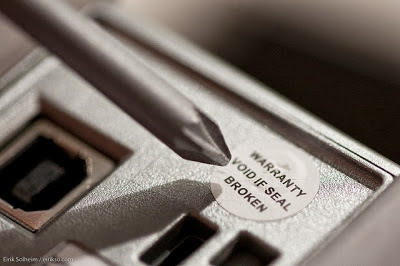 Is noteworthy, that not the same ink cartridge remanufactured and compatible ink cartridge, as the remanufactured cartridge is an ink cartridge that has been used and restored either ink or changed sponges to sell to customers. However Compatible ink cartridge is a new cartridge, never before used but not created by the company that makes the printer. And on the other side is the original ink cartridge, created and sold by lot to suppliers for the same printer manufacturer — which were talking at the beginning of the publication — the latter are priced truth too high, although the better quality of all cartridges. Another major difference is the guarantee of these cartridges, although the two are warranted, be harder to get a compatible replacement cartridge, but of course, it really depends where you buy. 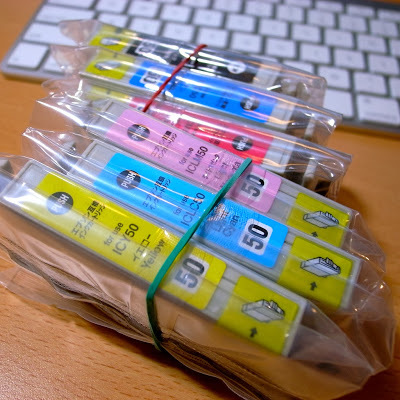 The amount of ink cartridges compatible is difficult to calculate, unlike the original cartridges have a precise amount and therefore the accuracy of cartridges. Compatible cartridges are in some ways easier to fill and may get these cartridges "refillable" we can save a lot of money. Something is 100% secure, and print quality and the difference between these two types of cartridges, since it is no secret that the original cartridges are best printed. This is because the manufacturer knows the printer knows that the ink used for better performance and quality, the amount of warming that needs to print cartridge and other important factors that may be unable to determine an external company. The prices are very different, and this publication is not interest that you only buy the best cartridge, if not to compare and get better quality at higher payment or lower quality and pay much less. He has not said that compatible ink cartridges are bad, only mentioned the deficiencies and faults that may arise, but the prices for original cartridges can be exaggerated, so this of you.